CEDAR HILL—The DeSoto Chamber of Commerce will honor David Wilson, Sr., owner of David’s Seafood Restaurant at the Taste of DeSoto: Sweet & Savory. The festival will be Thursday, September 29 between 4 to 8 pm at the DeSoto Civic Center and is presented by the DeSoto Chamber and ReunionCapitalofTexas.Com. Wilson became locally famous in the Cedar Hill area after he purchased an existing restaurant in 2006 which he renamed David’s Seafood Restaurant. 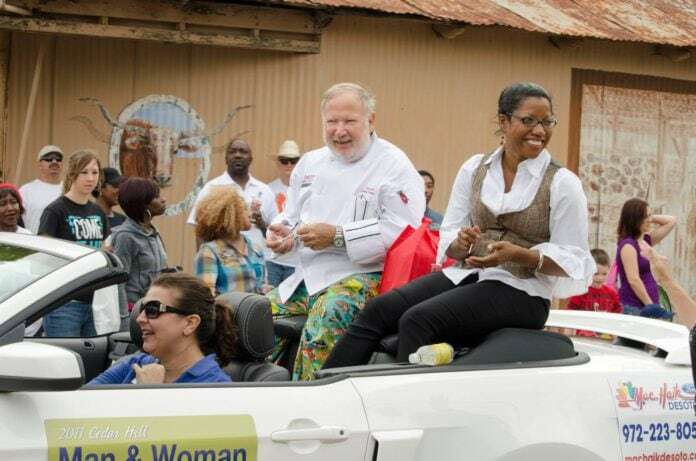 Although most of his achievements center around Cedar Hill, Wilson rarely missed an opportunity to lend his culinary talents to the surrounding Best Southwest cities. He personally managed the business until his death earlier this year. The current chef at David’s Seafood will have a demo, and Shawn Wilson, one of David Sr.’s three sons, will be on hand Thursday to honor his father at the Taste of DeSoto. Sweet and Savory: A Celebration of Dining South of the Trinity is an annual event to promote local businesses and to encourage residents of DeSoto and surrounding communities to shop local. The event will provide an opportunity for restaurants, food trucks, and caterers to offer samples of signature dishes. It will also feature family-friendly entertainment and an array of retailers and service providers located in or serving southern Dallas County. With some 300 or more people projected to attend the show, organizers expect all booth spaces to sell out quickly. Vendor registration is underway with booth fees starting at $125 for food vendors ($100 for DeSoto Chamber Members) and $125 for non-food vendors until September 19. Booth prices will be slightly higher starting Sept 20 subject to availability. Admission for adults will be $10 (or $25 for the Savory Suite) while admission for youth ages 6-11 and Senior citizens will be $5 per person. Admission include one FREE sample from each food vendor and larger portions will be available for purchase. For more information on vendor registration, sponsorship opportunities or event details, contact the DeSoto Chamber of Commerce at 972-224-3565, check www.desotochamber.org or email coordinator@desotochamber.org.